We are committed to developing and sustaining positive relationships with the Wilton community in order to deliver a range of social, educational, business and training opportunities. This will create a vibrant community in which to live, work and play. At the core of this development, we will harness the skills of Our Veterans and ensure that they are very much a part of the social enterprise element which makes this project so exciting. The veterans' development at Wilton Hill is part of a larger, mixed use development of the former Erskine Barracks, HQ Land Forces which will be remembered and celebrated throughout the development. The development is a partnership between Our Enterprise, Redrow Homes and the Wilton Community Land Trust. We will create flexible working space for new and established businesses, co-working opportunities, workshop units and training space in the Enterprise Hub which will sit alongside our veterans accommodation. The community cafe will be at the heart of the development, open to the whole community, a place to meet and socialise with art space and a high speed internet access. 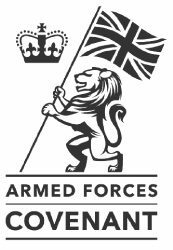 To support Our Veterans into achieving their full potential and whilst working towards integrated and independent living. To deliver enterprise and training space for the whole community, a nursery, community cafe and a safe, well-maintained outdoor space for the residents and visitors.